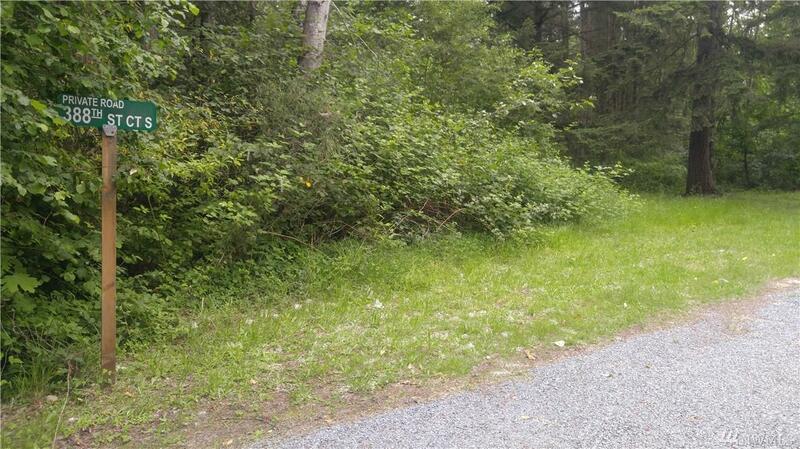 rare find, level 1.27 acres with tall firs, property is overgrown and ready for your love. Has small cabin/beginnings of a tiny home on skids. at the end of 388th a private road with a possible mountian view. Property perked years ago when owner bought it, date unknown. perfect place to build or bring in a manufactured home. Close to Harts Lake for year round fun!